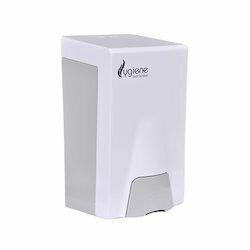 Our range of products include hand sanitizer dispenser, hand sanitizer gel, toilet seat sanitizer dispenser, urinal screen and toilet seat cover dispenser. mart Hygiene Hand Sanitizer Dispenser is a simple dispenser with anti-microbial Press Button which prevents cross contamination with the surface. Smart Hygiene Hand Sanitizer kills 99.99% of germs without the use of soap and water. It evaporates completely with no rinsing required, and add moisture with each use, and aids in reducing the risk of cross-contamination. The unique pouch feature reseals each pouch ensuring servicing of the Hygiene. 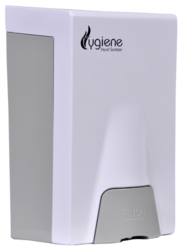 Smart Hygiene Hand Sanitizer Dispenser is quick, simple and contamination free. 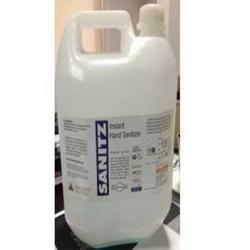 Smart Hygiene Hand Sanitizer comes in 500 ml 1000 ml refills. Protects hands from all types of common touch borne infections which may be transferred in day to day office activities such as hand shakes, washroom usage etc. It reduces the spread of communicable diseases such as Influenza, Conjunctivitis etc. Apart from common stomach infections borne out of e-coli etc.Dual Action of Alcohol Leave on Sanitizer giving prolonged protectionAll Key Ingredients mentioned on Pack along with Batch No., Mfg. & Exp. As mandated by FDA. Enriched by our vast industrial experience in this business, we are involved in offering an enormous quality range of Toilet Seat Sanitizer Dispenser. The offered dispensers are meticulously designed by expert professionals and deliver optimal performance to the customers. Features:Freshens the urinal for approximately 30days. 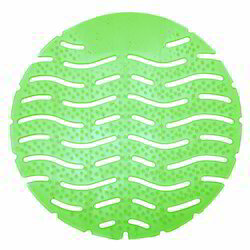 Reduces cleaning times - improved longer protrusions help reduce the urine splash. Strong fragrance releasing help neutralize the odor problem and freshen the room. Materia biodegradable and recyclable Date tabs help u remind when to replace the screen. 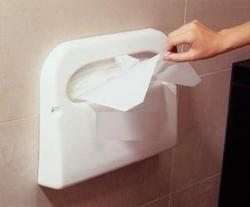 Protect the drain system, longer protrusion may help collect more debris than normal urinal screens. Flexible to most of the urinals. Better and stronger fragrance added. Get Big Discounts on Bulk Orders. A dispenser for individual toilet seat covers to promote hygiene, improve staff and customer comfort and care, and help control costs. Ideal for: dispensing single-use toilet seat covers, one at a time, in busy washrooms in work areas and public venues; reducing the risk of contamination and the spread of germs; keeping costs down, with hassle-free maintenance. Looking for Toilet Seat Sanitizer Dispenser ?